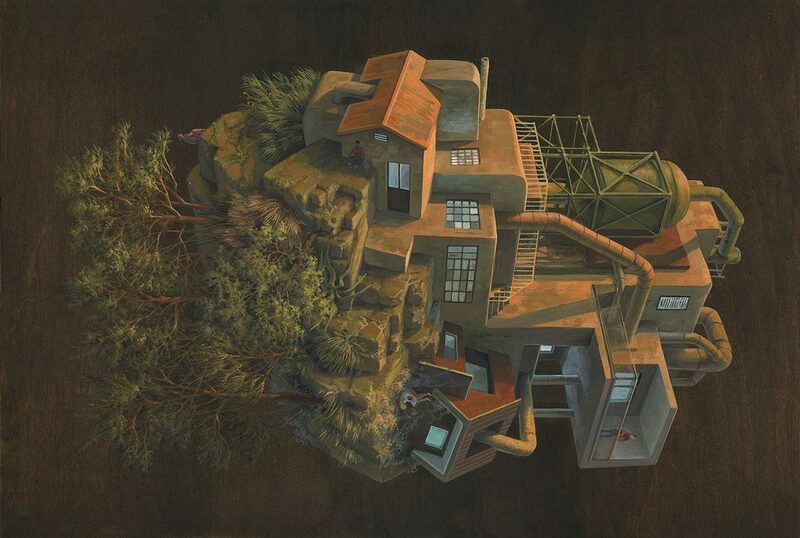 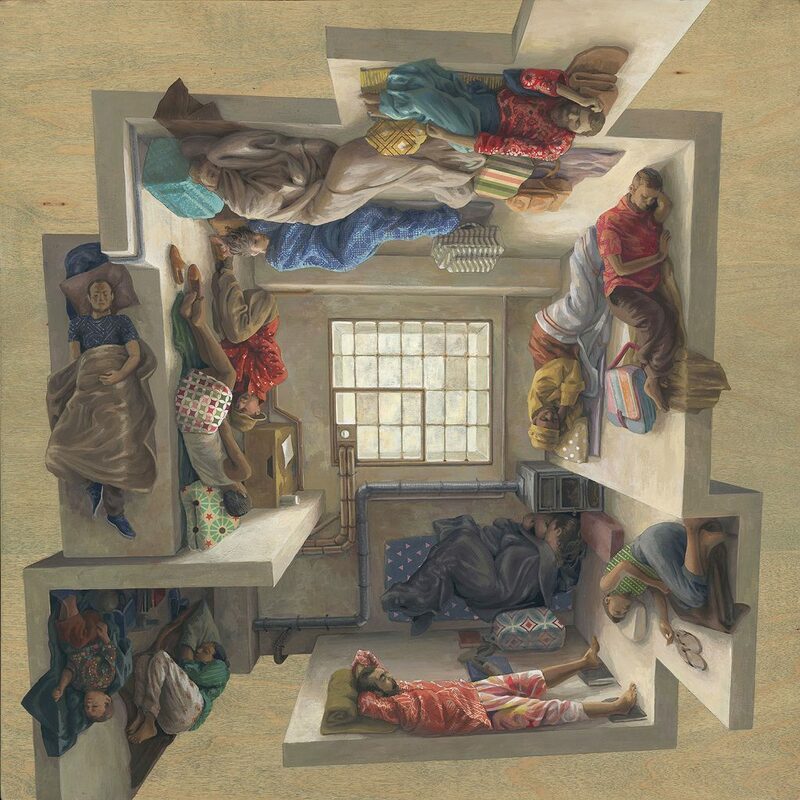 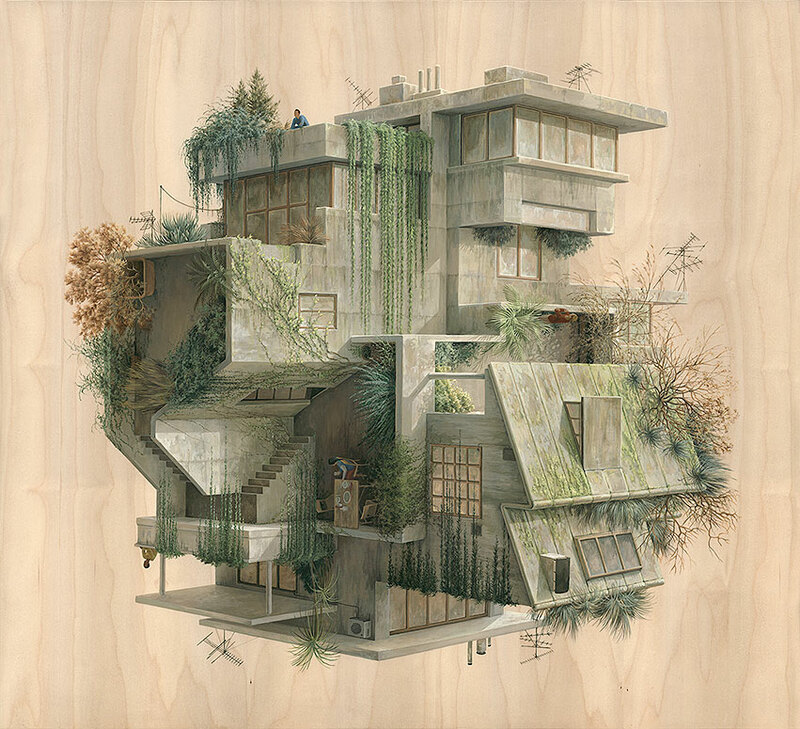 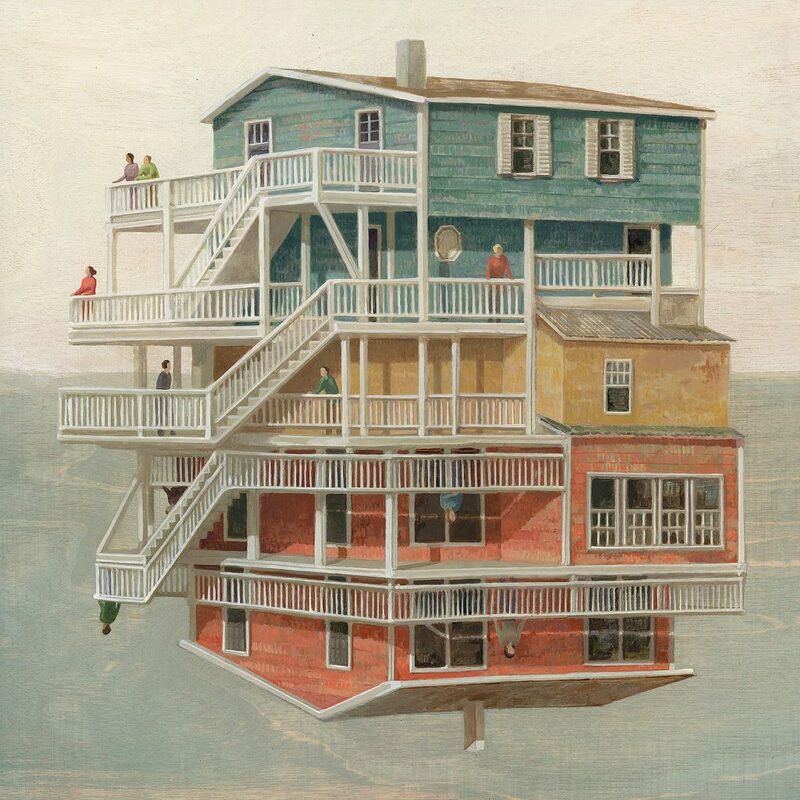 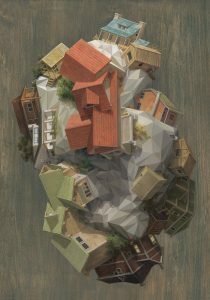 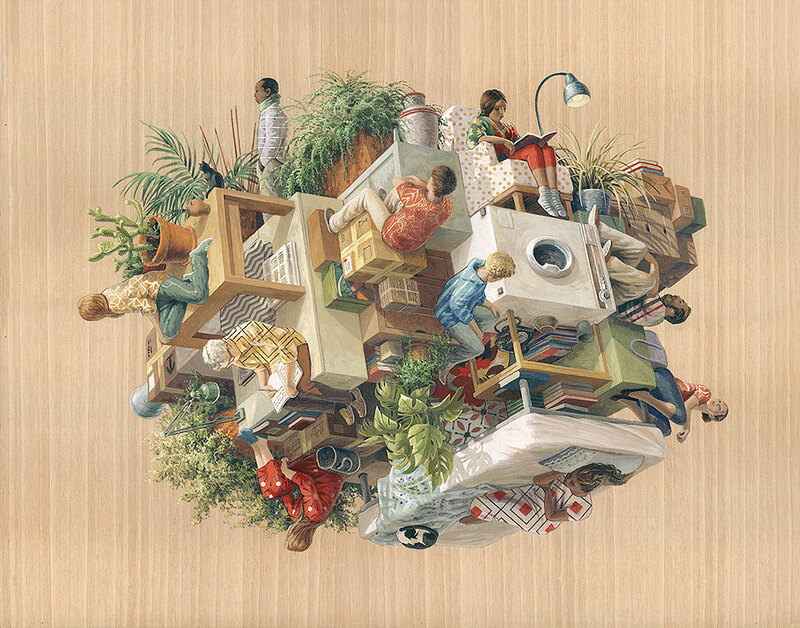 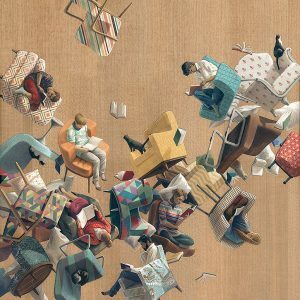 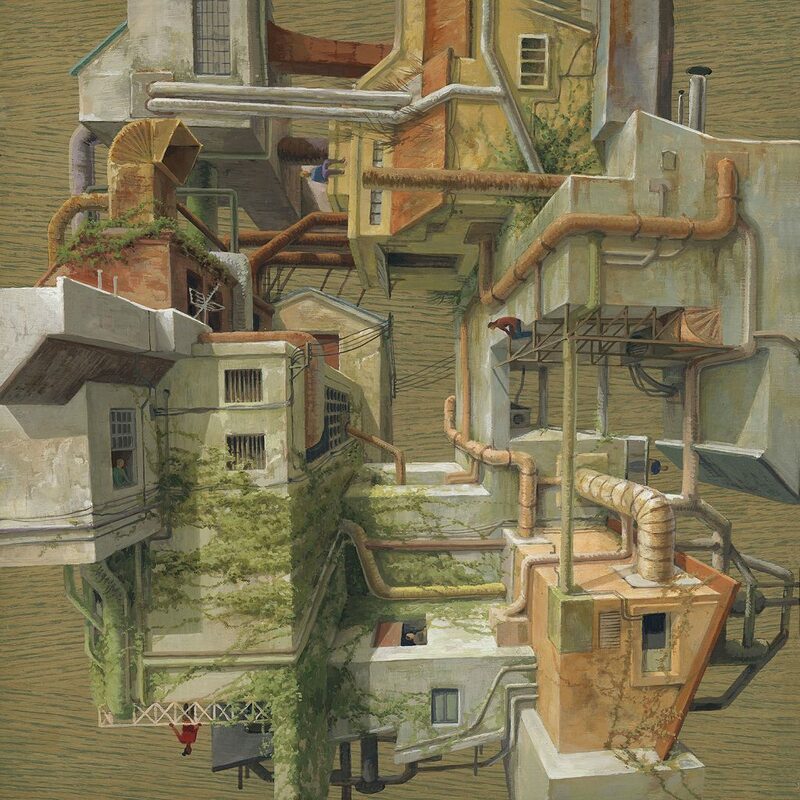 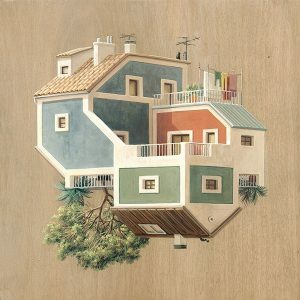 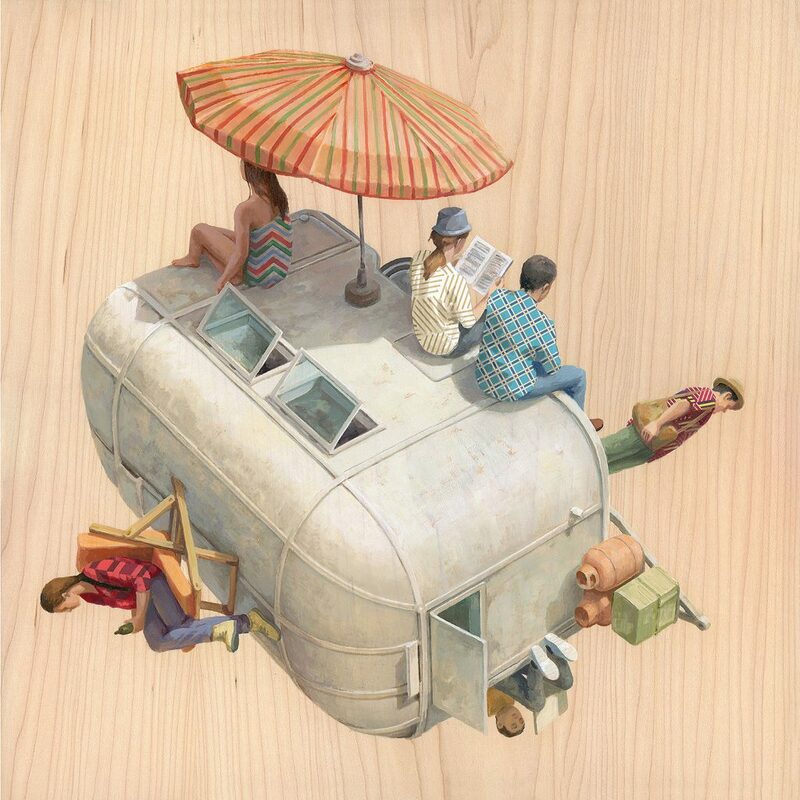 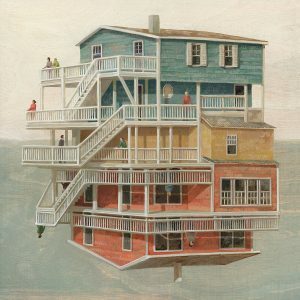 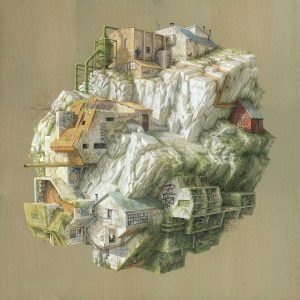 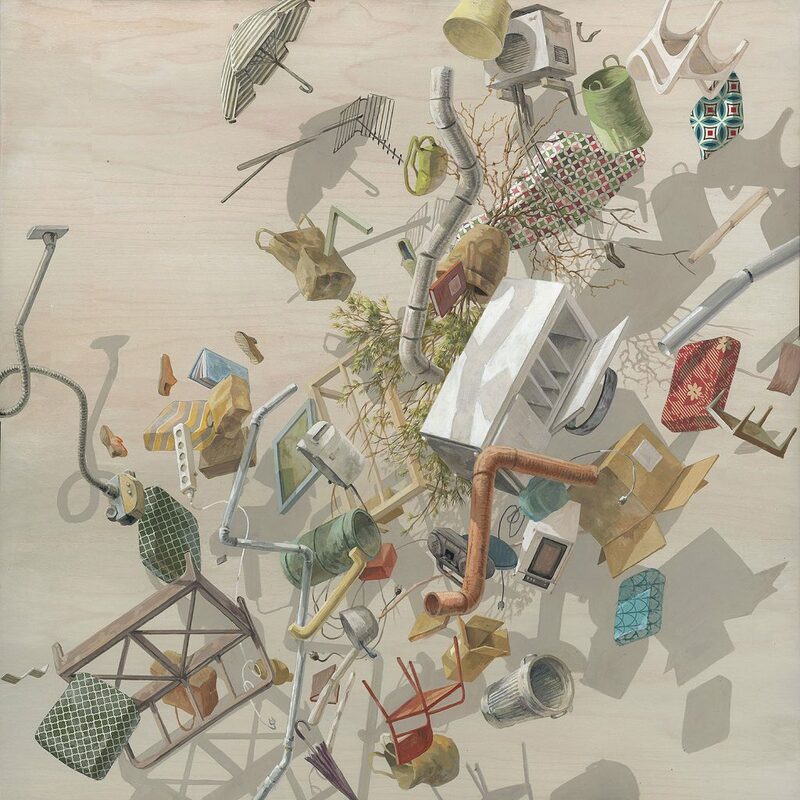 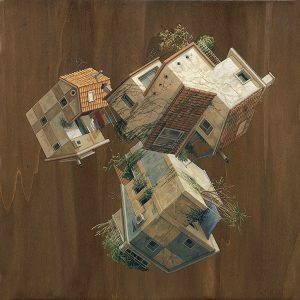 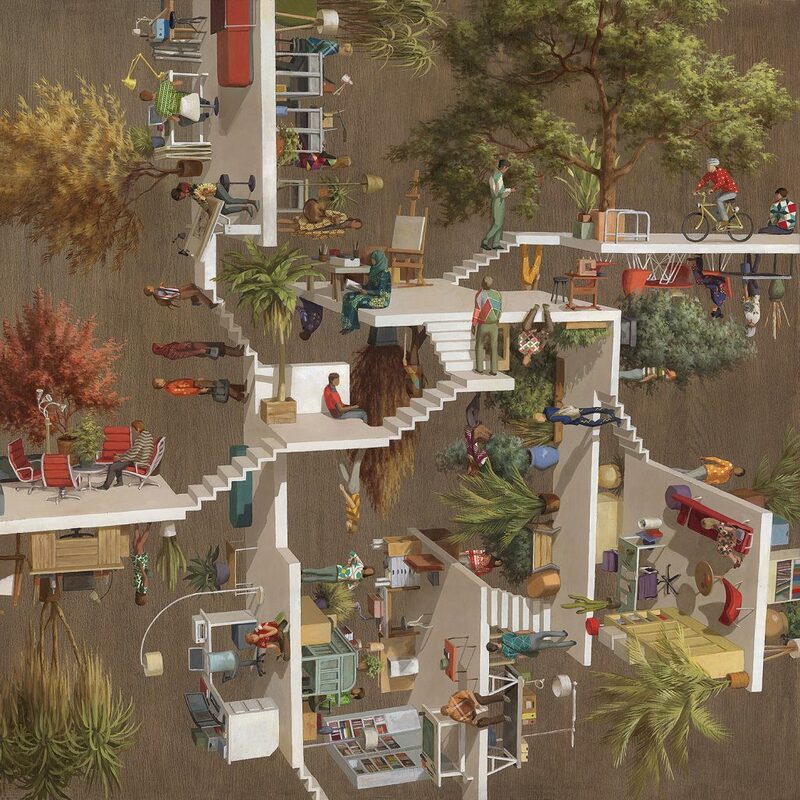 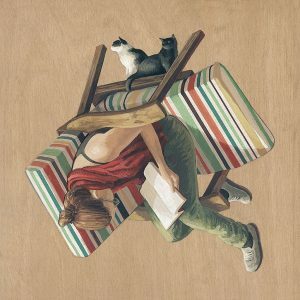 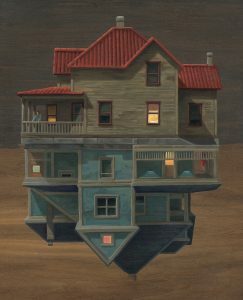 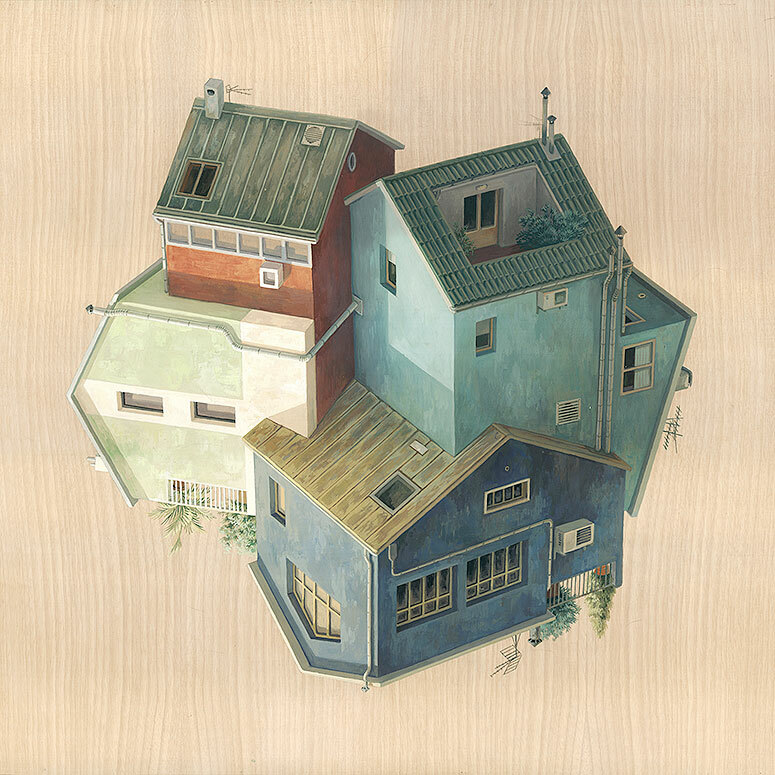 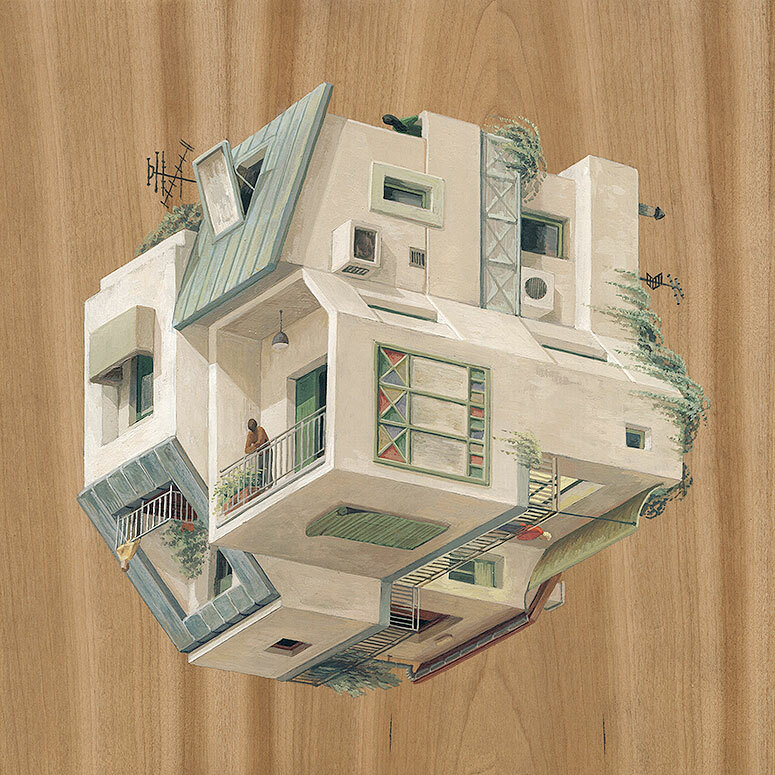 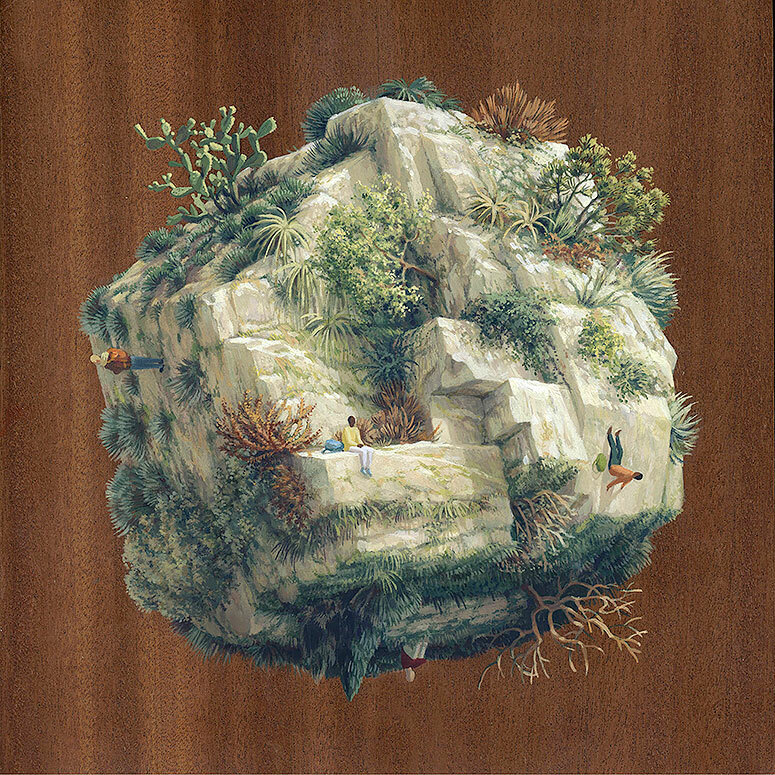 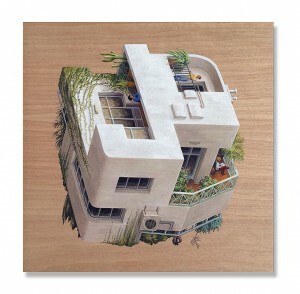 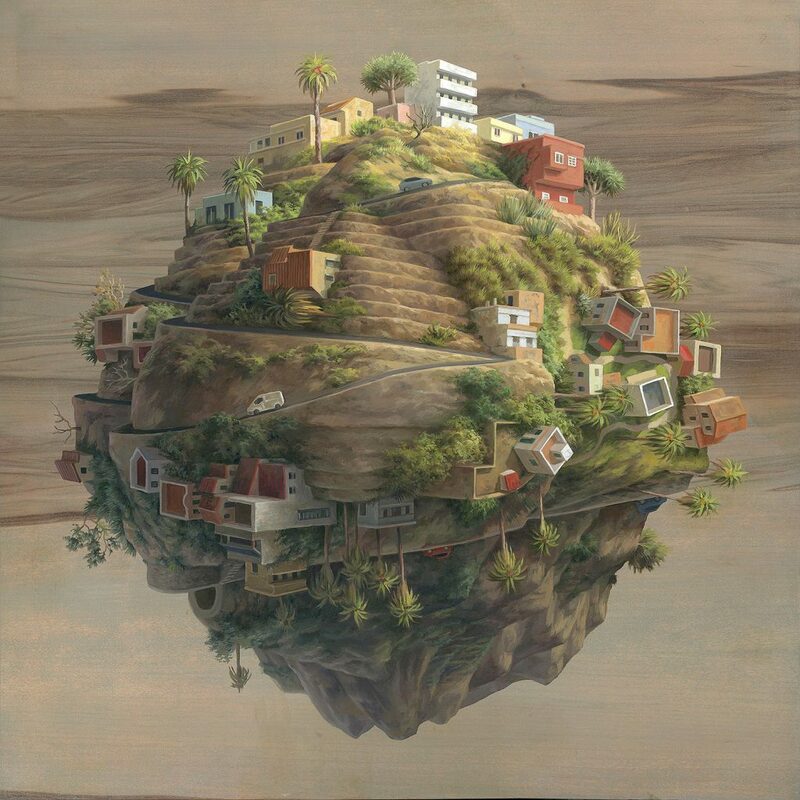 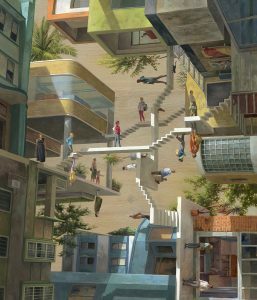 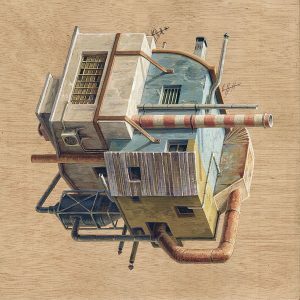 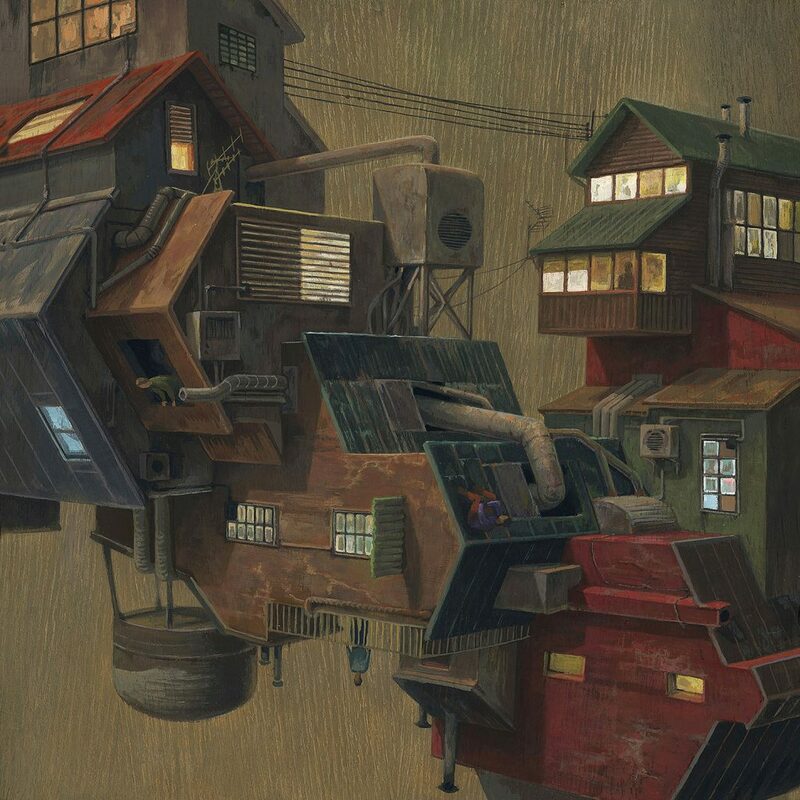 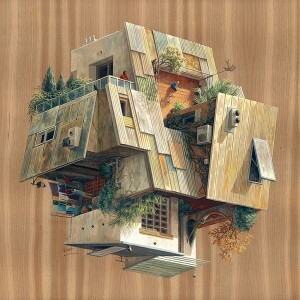 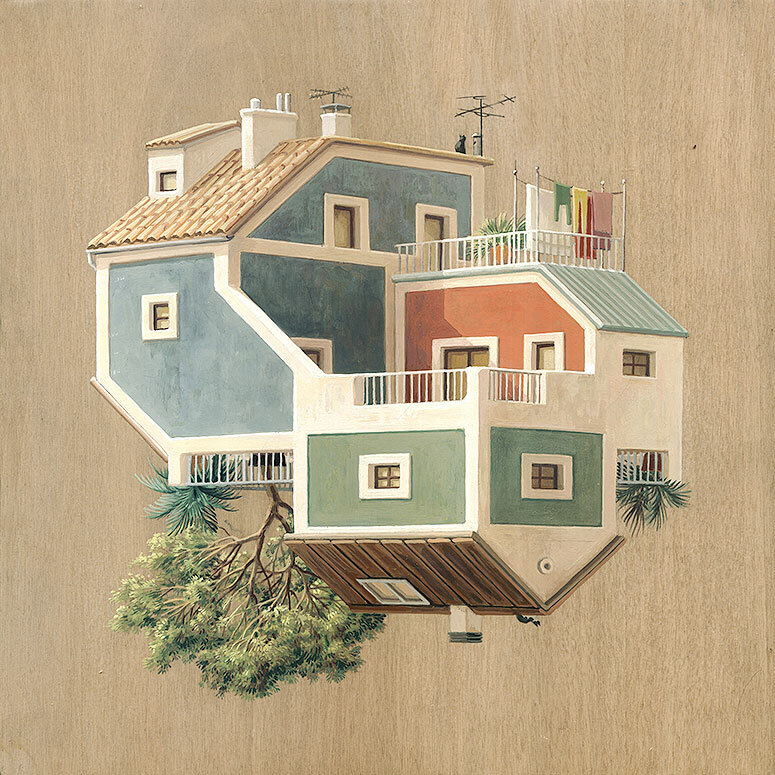 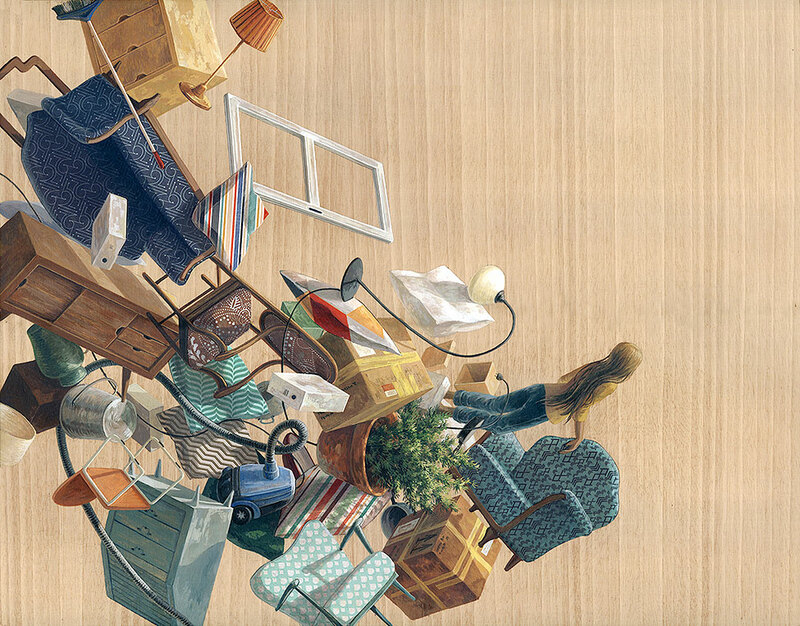 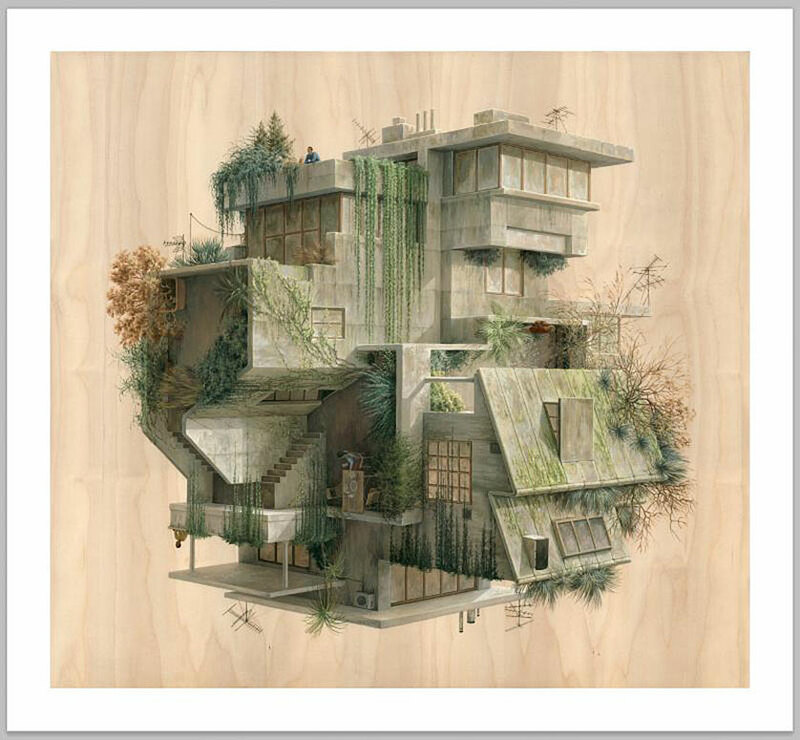 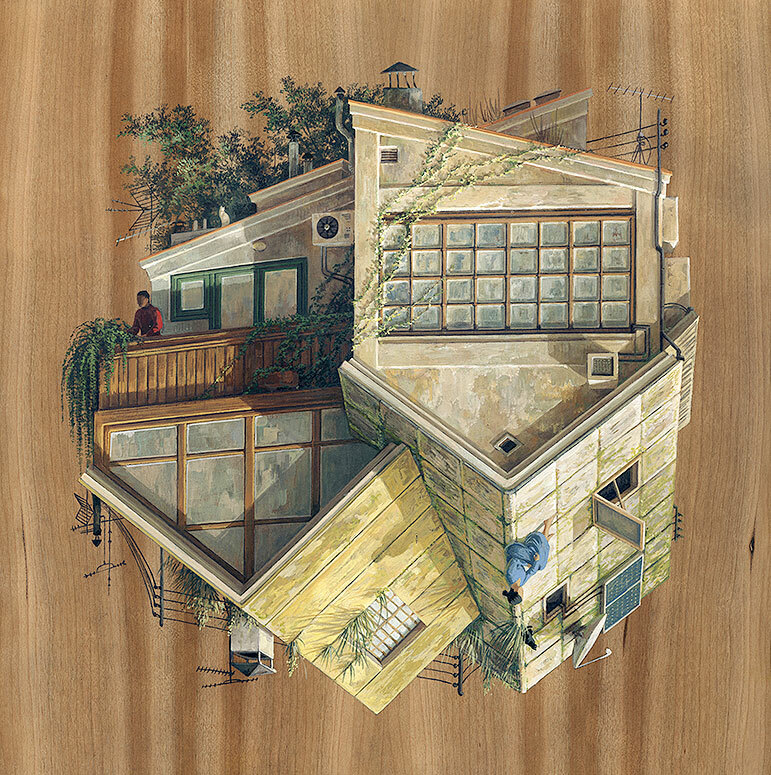 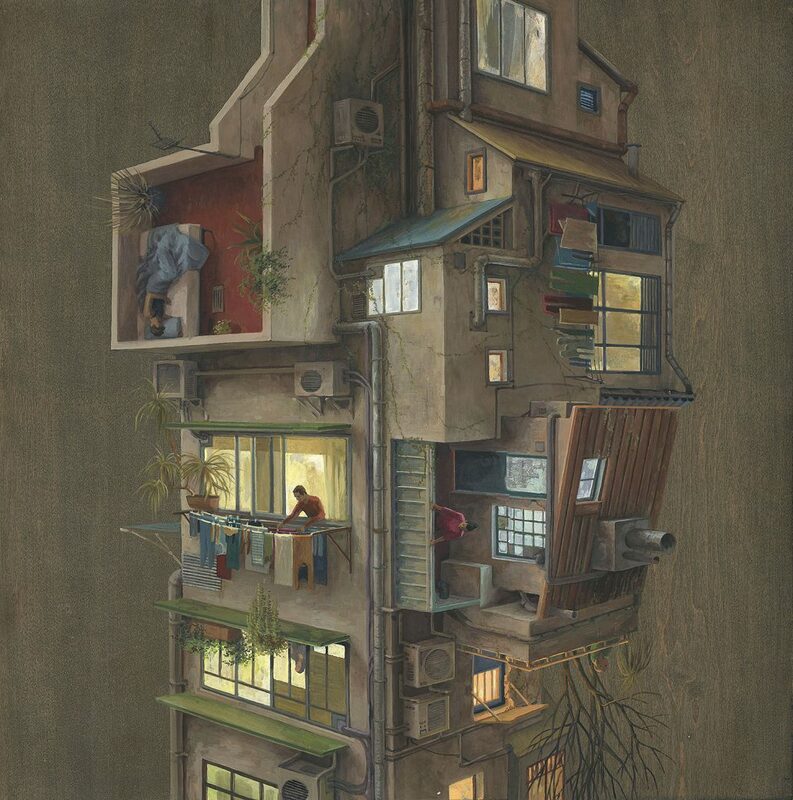 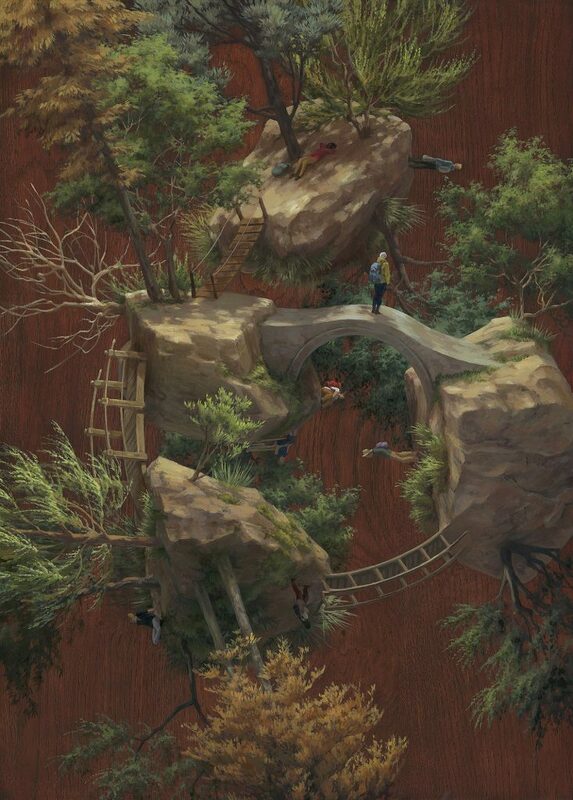 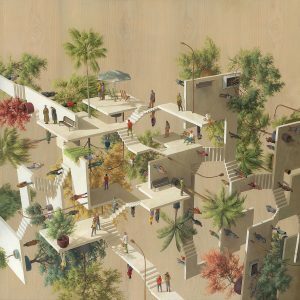 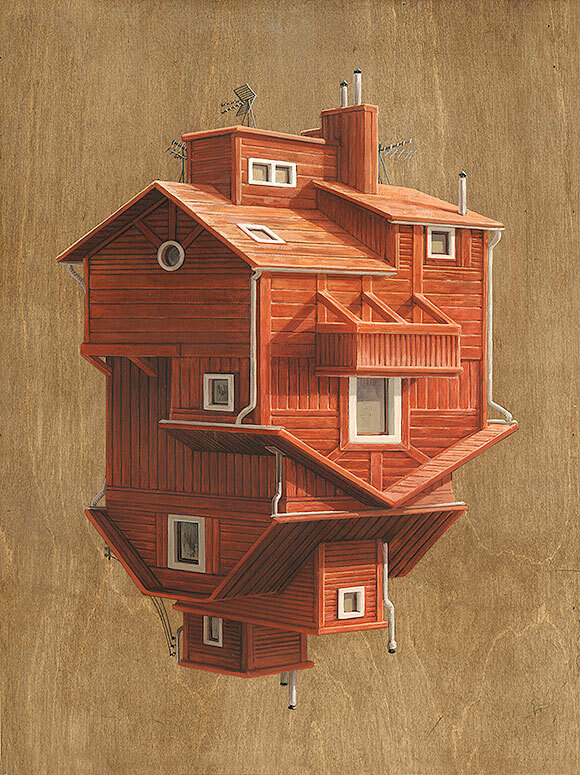 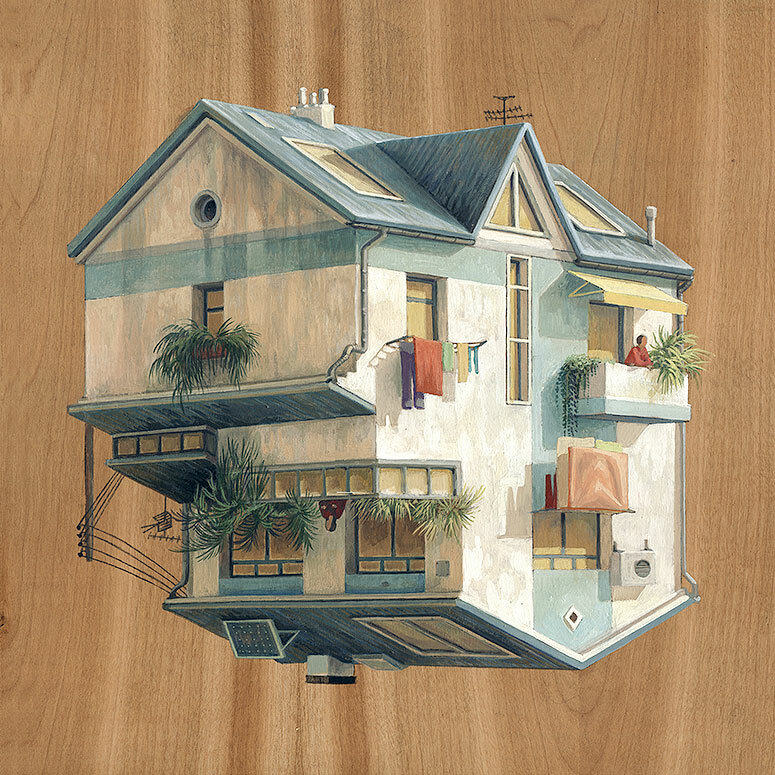 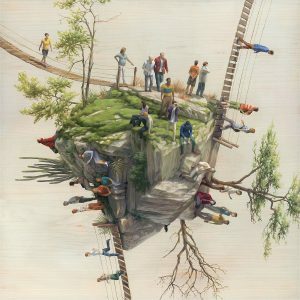 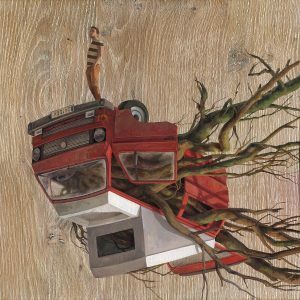 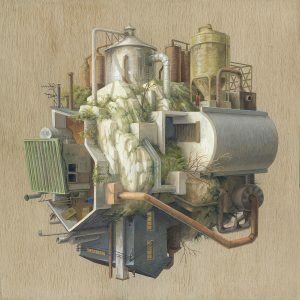 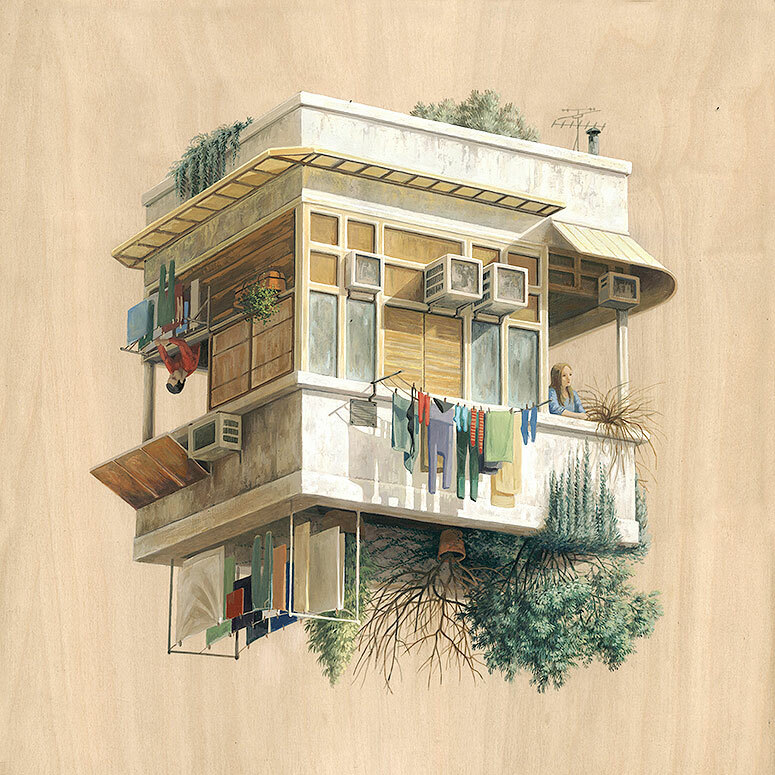 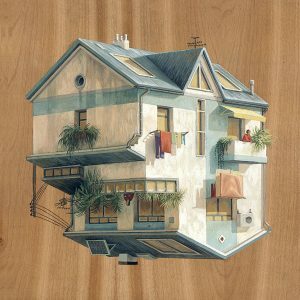 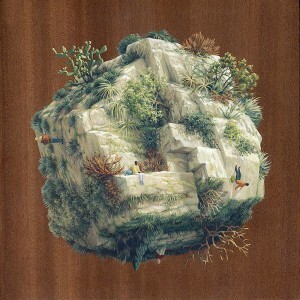 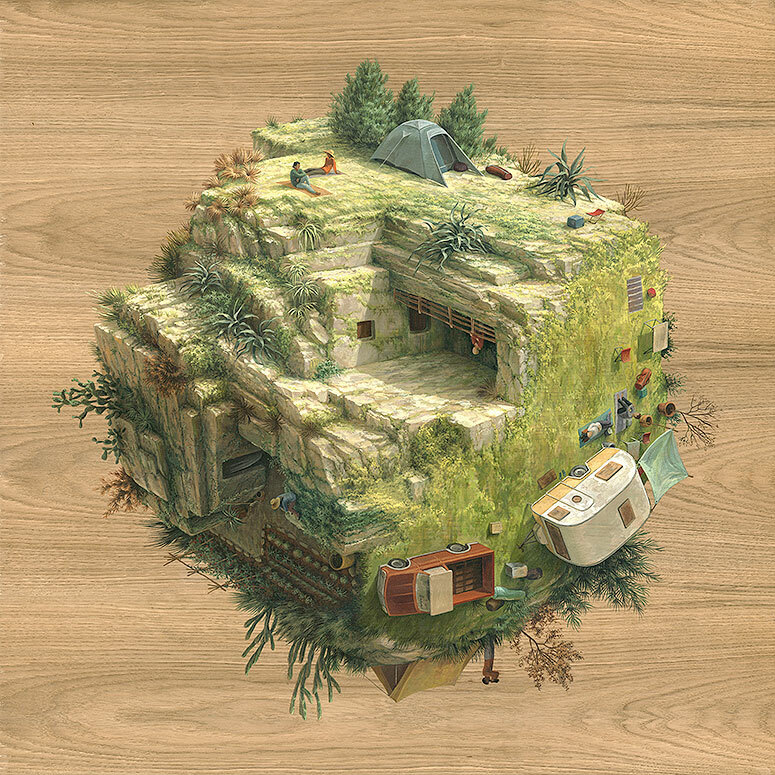 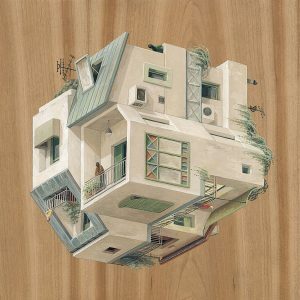 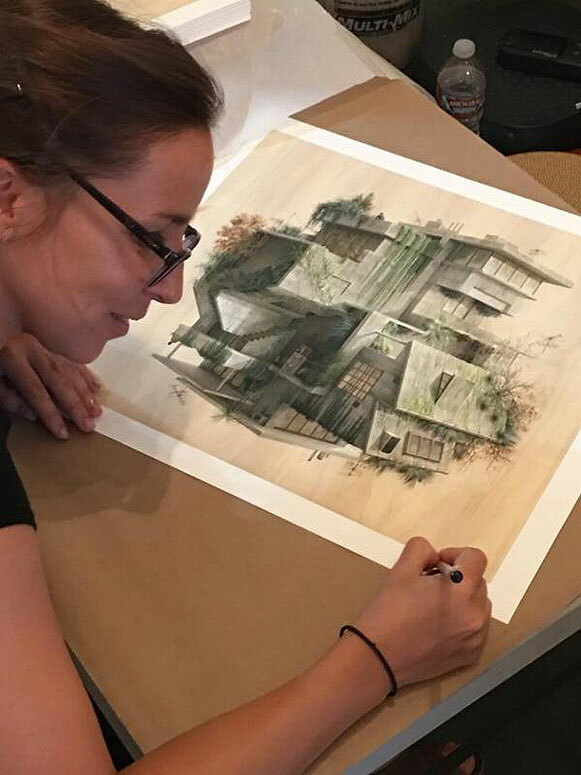 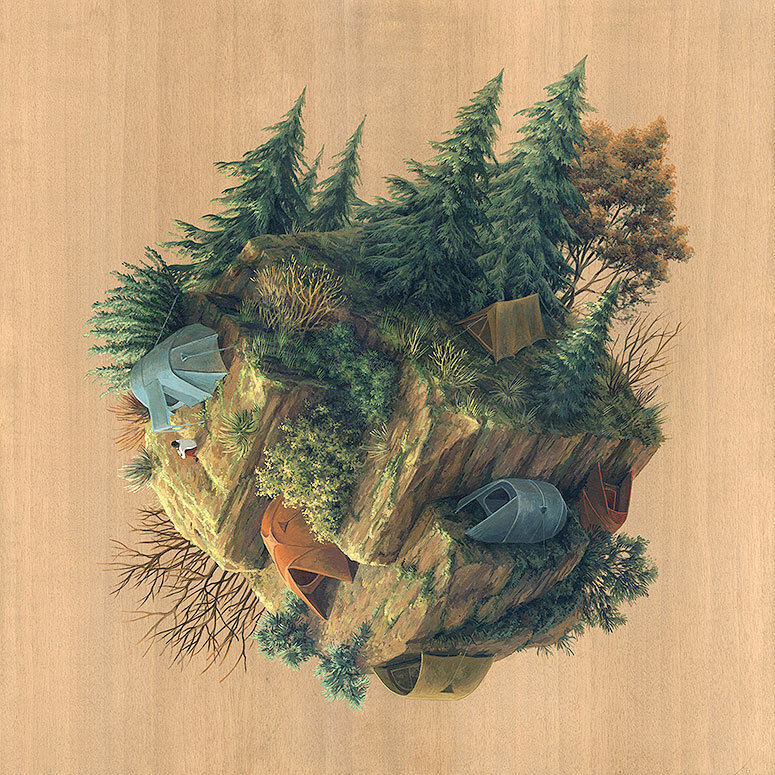 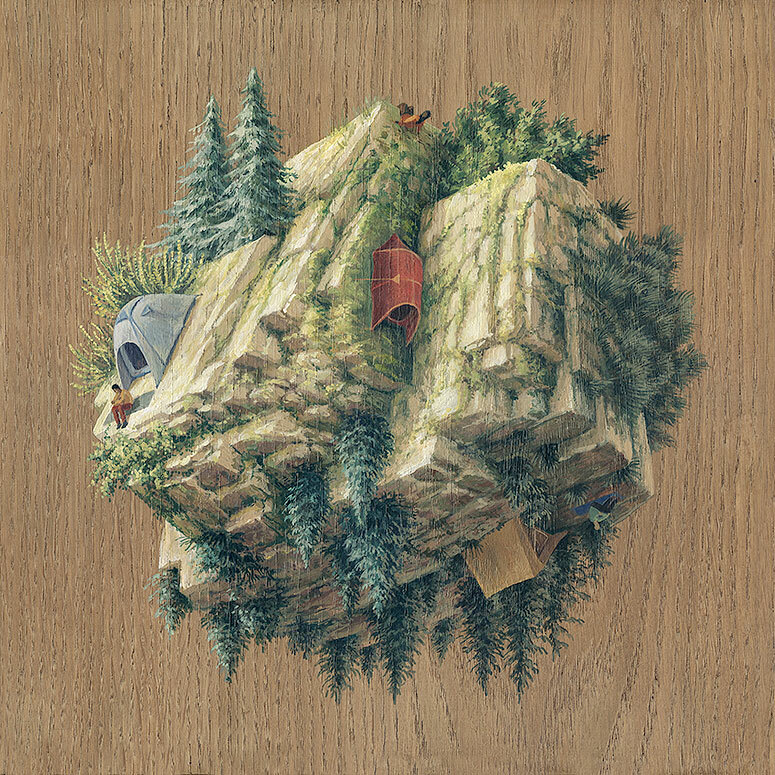 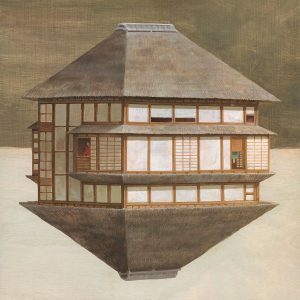 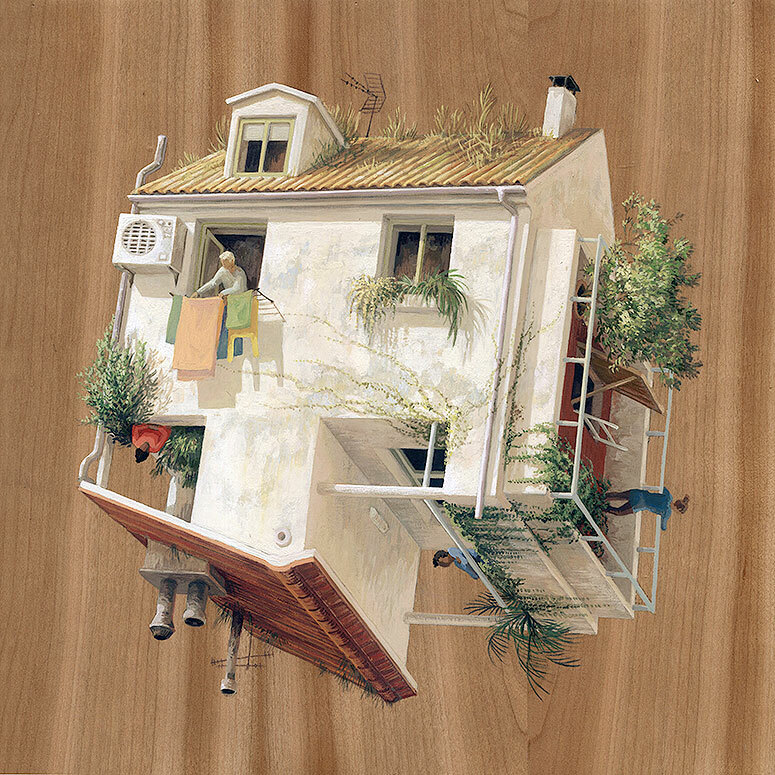 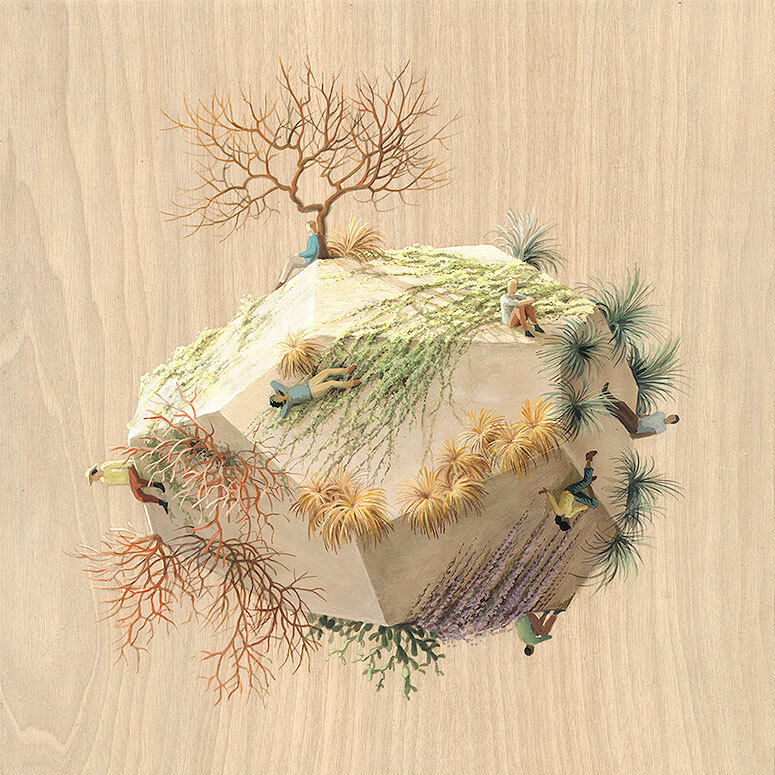 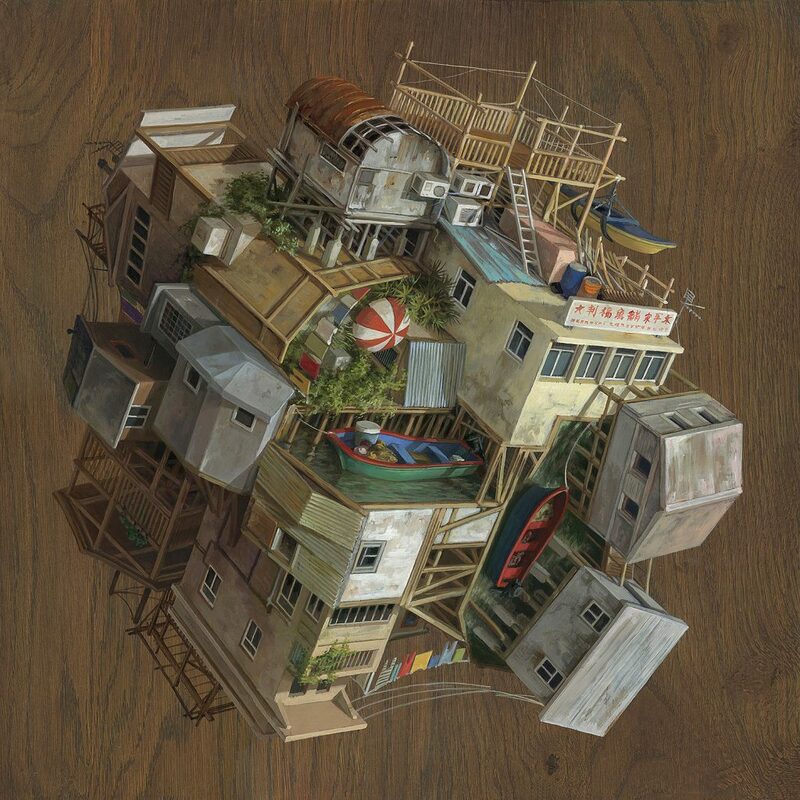 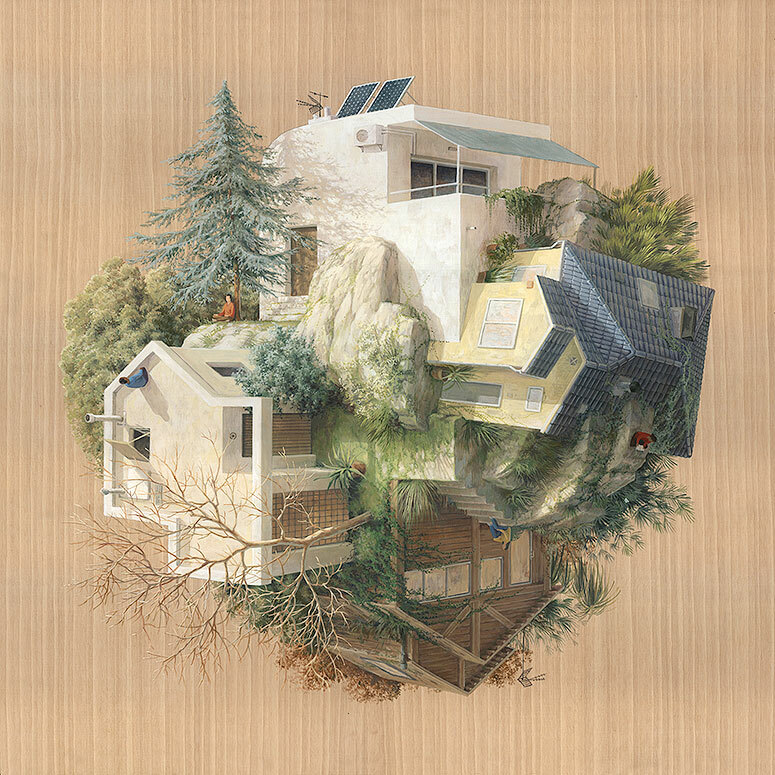 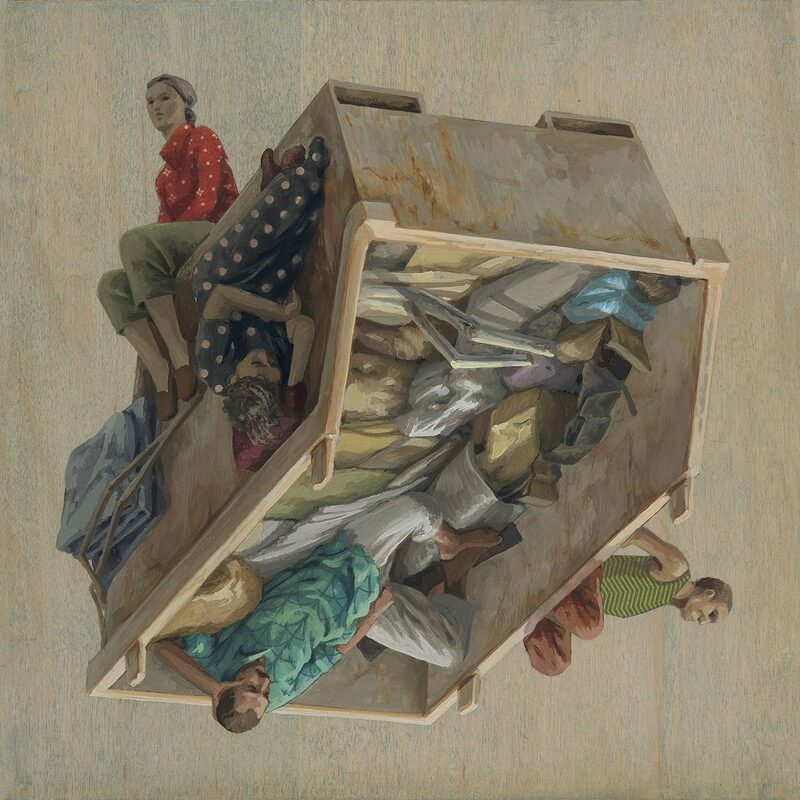 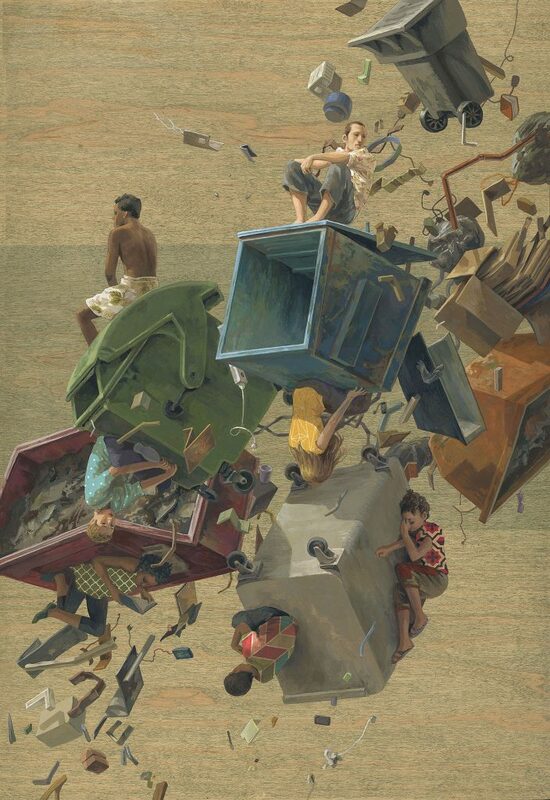 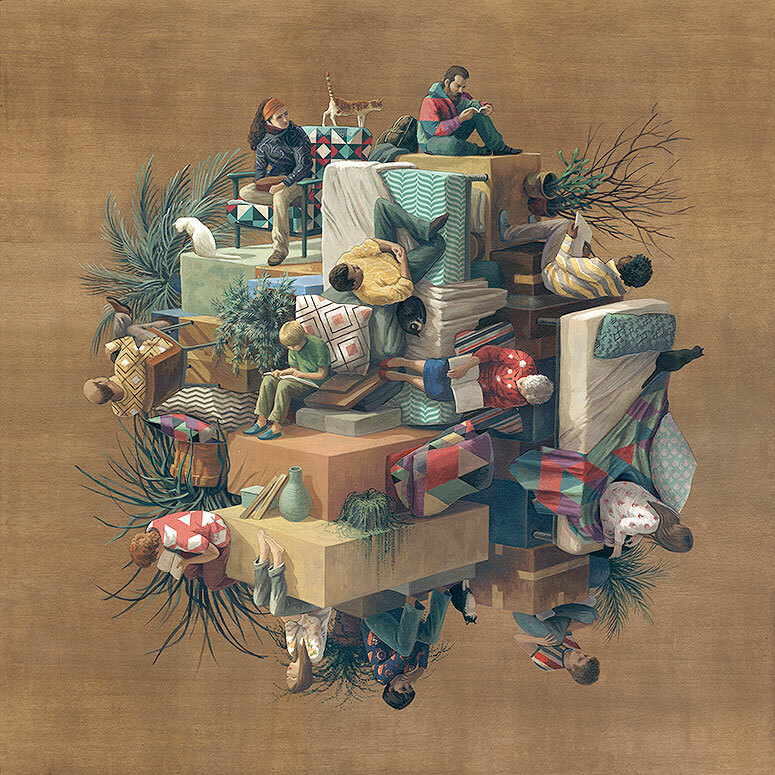 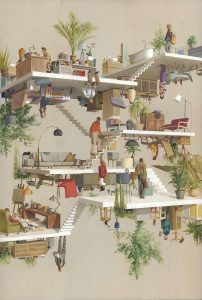 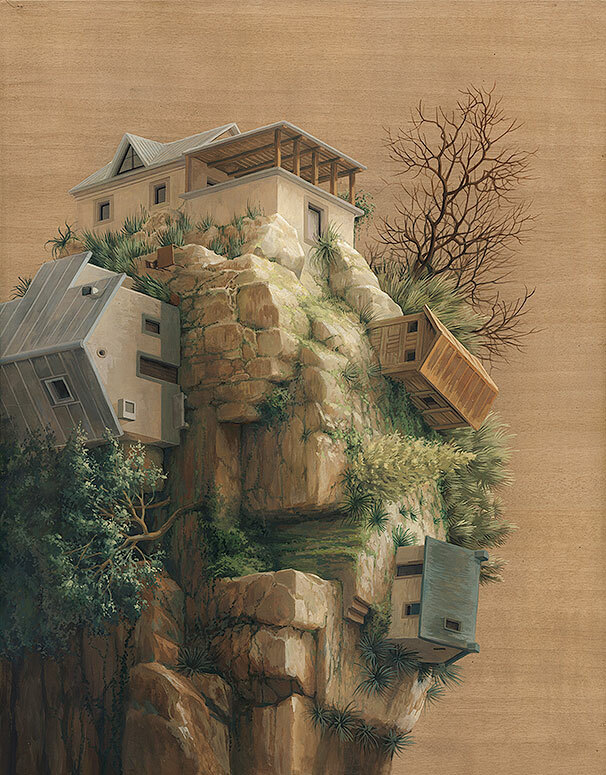 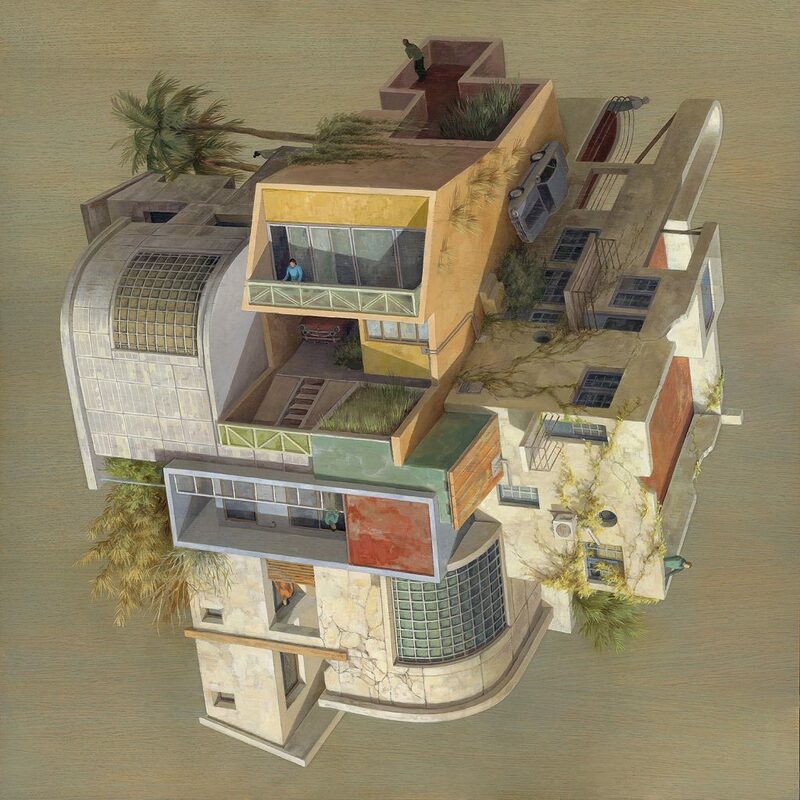 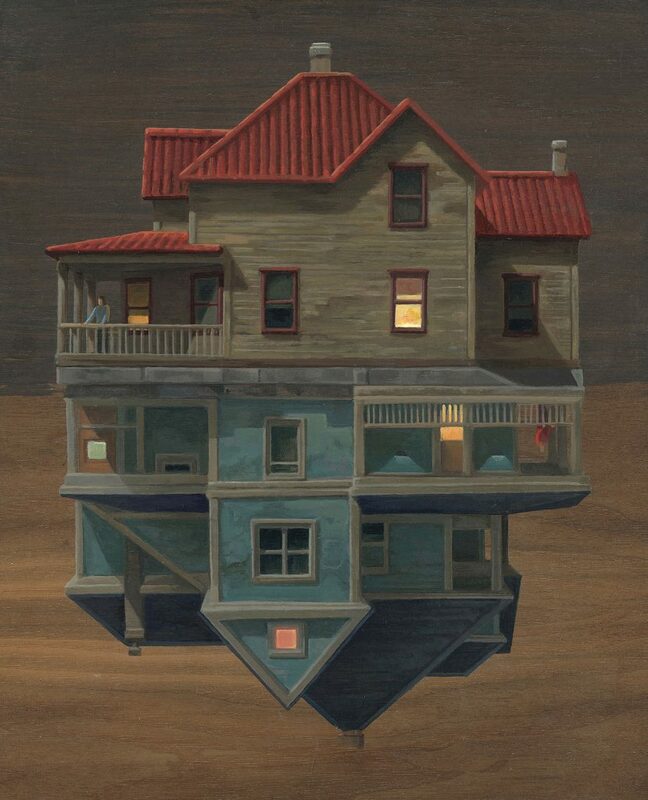 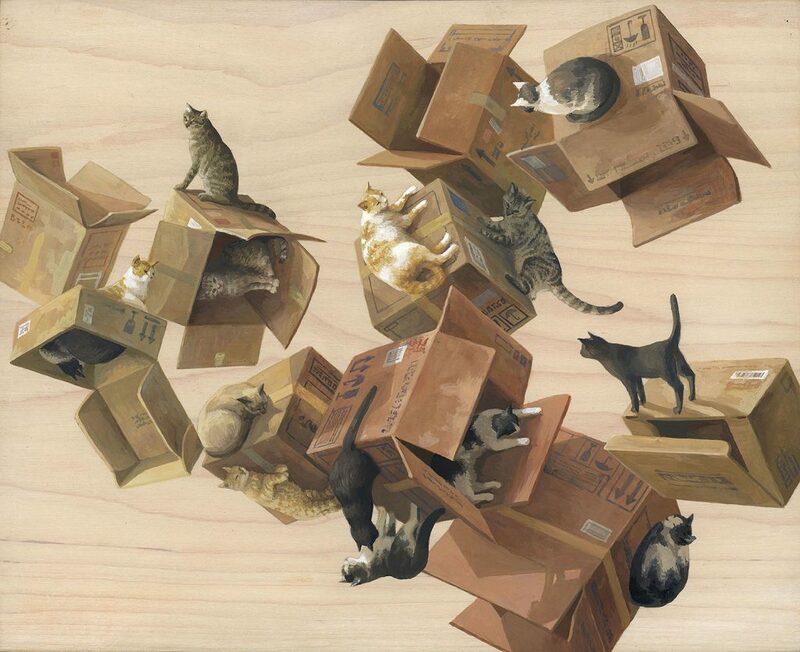 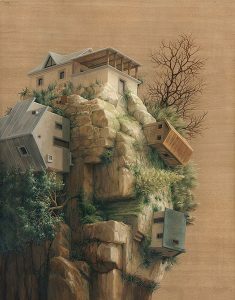 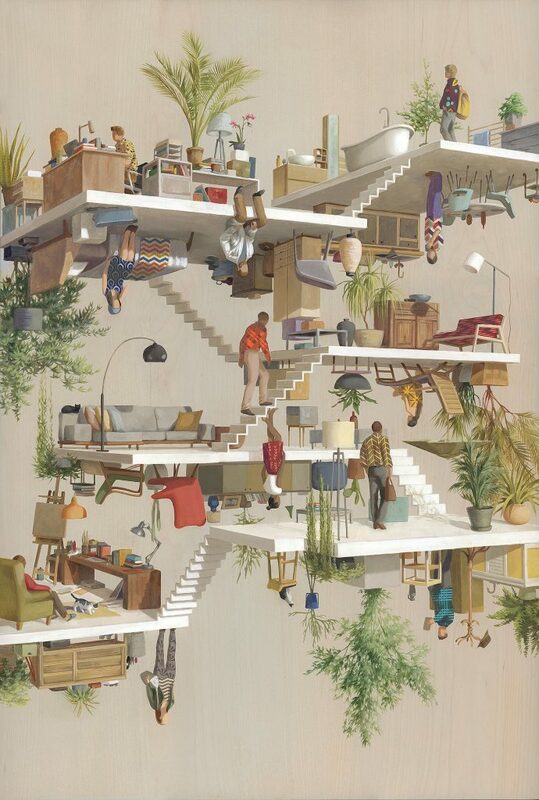 Cinta Vidal Agulló has been drawing since she was a child. 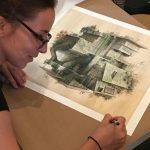 She studied at Escola Massana in Barcelona and at 16, I started working as an apprentice in Taller de Escenografia Castells Planas in St. Agnès de Malanyanes where she learned from Josep and Jordi Castells to love scenography and the backdrop trade. 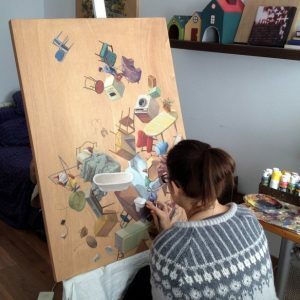 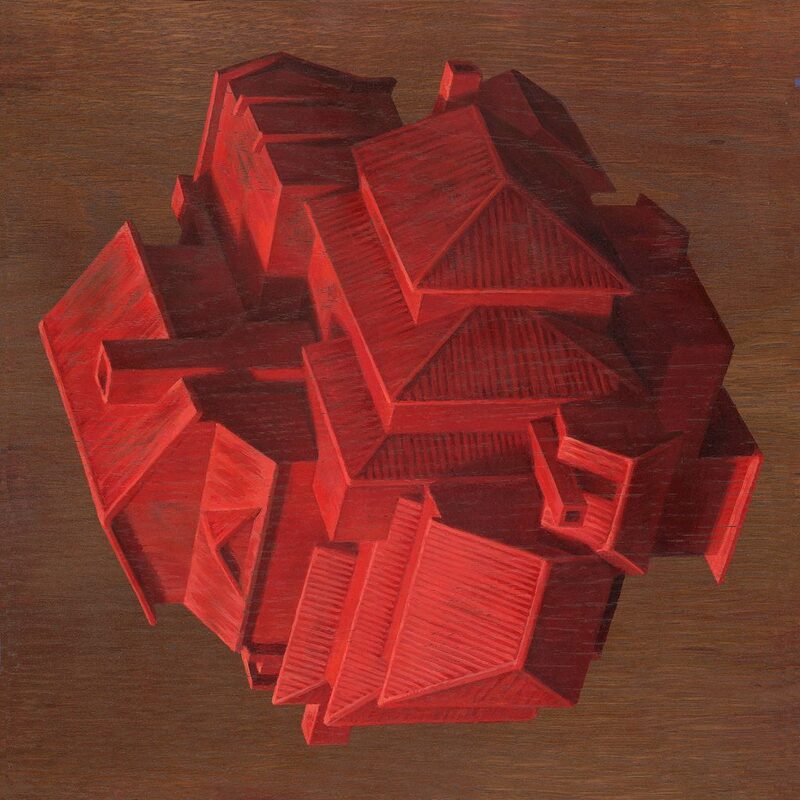 Regarding illustration, she has never stopped experimenting. 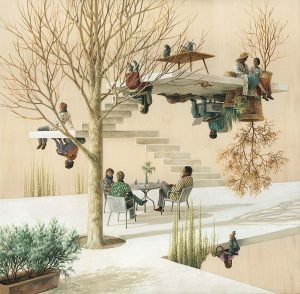 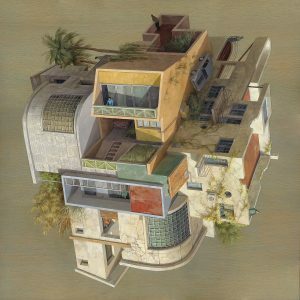 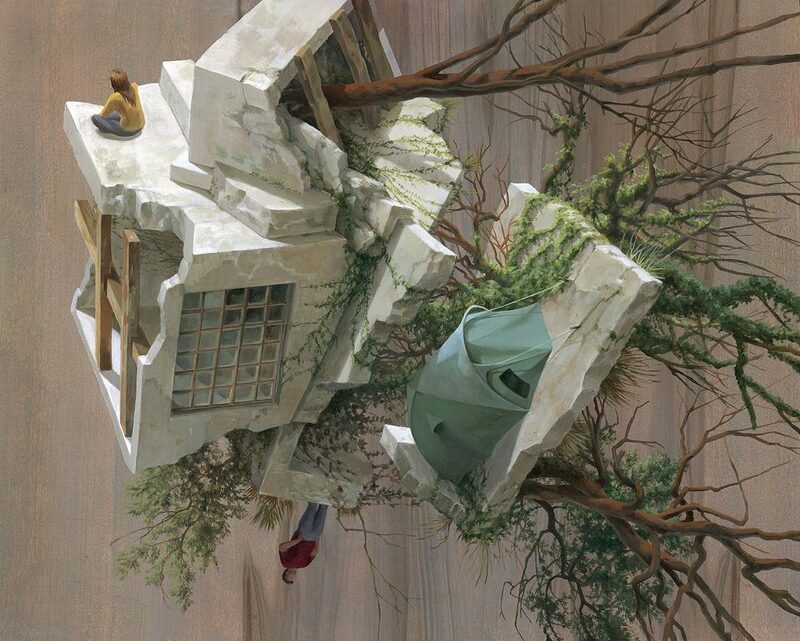 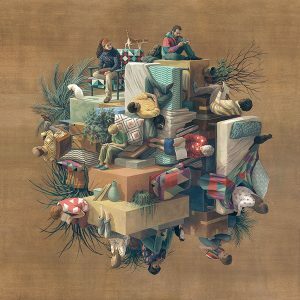 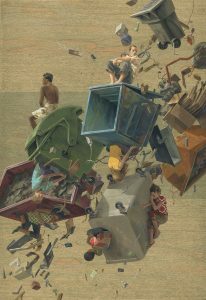 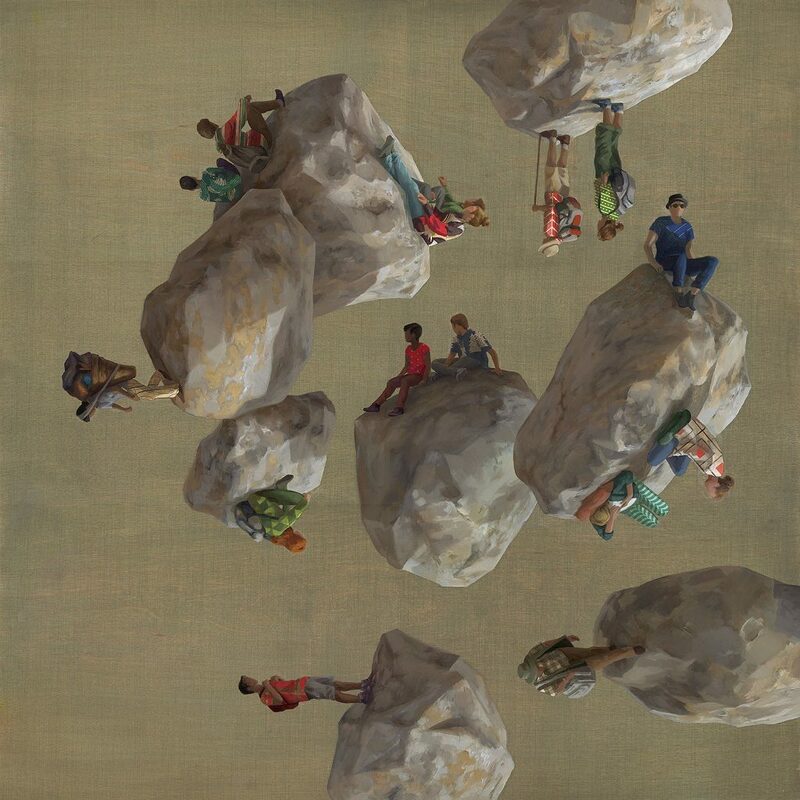 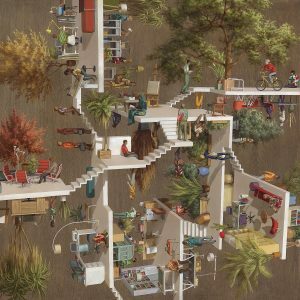 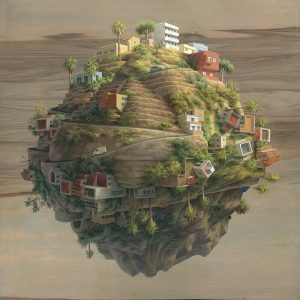 Cinta Vidal has worked as a freelancer for various clients and gradually has been heading into the world of painting and creating her own work.